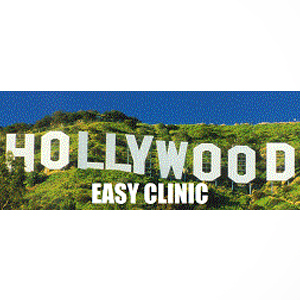 Hollywood Easy Clinic is a medical doctor’s office located in Los Angeles County, California specializing in medical marijuana, general and cosmetic medicine. Established in 2008, the clinic was founded to serve as a facility where medical marijuana patients could be provided with evaluations and recommendations, renewals, grower’s licenses and other beneficial services relating to medical cannabis. They are focused on natural care of the body and mind in order to minimize the chemical or pharmaceutical treatment when that is possible. Patients from Fresno, Bakersfield, Palmdale, Lancaster, Ventura County, Santa Barbara, Pismo Beach, Long Beach, Orange County and San Diego are often visiting this clinic. Additionally, Hollywood Easy Clinic boasts a friendly staff that are made readily available to assist patients with the many tedious tasks required to obtain a California medical marijuana card. Cannabis in Los Angeles is better because of the Hollywood Easy Clinic. The Medical marijuana doctor was especially helpful and taught me the differences of the medical marijuana cards. They just moved from Wendy’s to the new Rock and Roll Ralphs. I go there for my renewals as well.